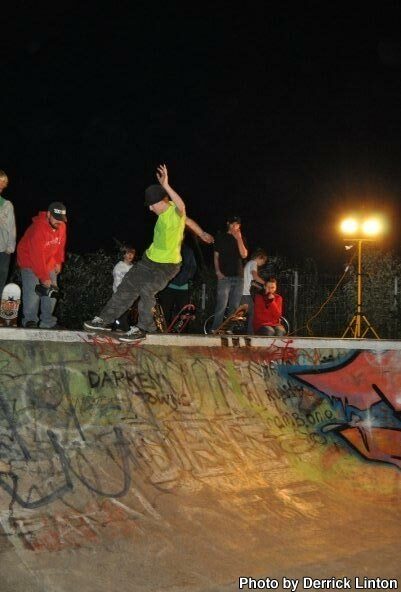 Over the course of four weeks from the end of September into October there has been a weekly lighting pilot at Dudhope Skatepark in Dundee. The aim of the pilot has been to assess the demand for lights in the park, especially during the darker, winter months. There’s still another couple of weeks to go in the lighting pilot with this Wednesday 7th and Wed 14th of October still to go between 6.30 and 8.30pm. 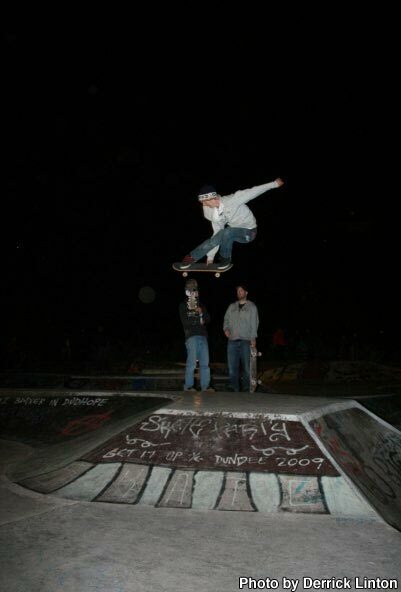 The first two have been really good with a whole load of skateboards and bikers turning up to session the park with the aid of some small portable lighting powered by generators. The initiative is a joint effort between the Leisure and Communites Dept of Dundee City Council and Dundee Fire and Rescue. There is also a survey / feedback from published on the Dundee Concrete website where you can provide feedback about the lighting pilot sessions. Ross Matthew – melon flip over Ben!